Our Mobile Locksmith Service Is Fast & Reliable! 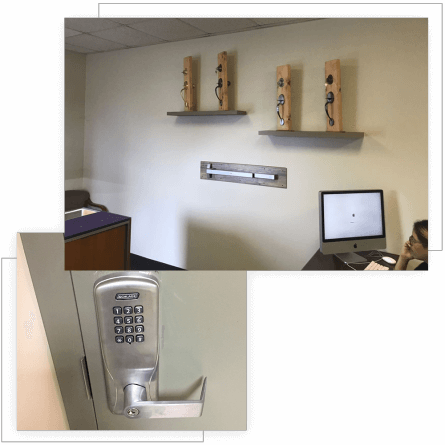 We specialize in state-of-the art locks, safes, and more! We Provide High Quality Locks! We strive for efficiency; our experienced technicians are ready to serve you at the most convenient time and place for you. Our PASSION TO MAKE CAR KEYS is what makes us stand above the rest!!! OMG Locksmith is your #1 choice for any Residential, Commercial, Automotive, Emergency Locksmith service. OMG Locksmith is your #1 choice for any Residential Locksmith service. OMG Locksmith is your #1 choice for any Commercial Locksmith service. OMG Locksmith offers the best in fast and responsive Automotive locksmith solutions. Our WHAT CLIENTS SAY ? I would recommend this locksmith to all my friends. They have everything at this store. From auto to home. Friendly staff. Call or visit when you need keys of any kind. Customer Service, Offerings, Quality, Timeliness Andrew was quick, efficient, and pleasant. A pleasure in this day and age. Customer Service, Offerings, Quality, Timeliness She is not only the owner but a great person. Very friendly and helpful. I see my company doing business with them for many years to come. Most companies I called to replicate my 2003 Nissan Altima key were anywhere between $85-150. OMG Locksmith charged me $65. and provided quick and excellent customer service! Definitely recommend this place to anyone!! P.S. Total plus that they're next door to Las Vegas Cuban cuisine and right off the highway! estimate or to set up an appointment. We, at OMG Locksmith, are committed to keep our standards high and up to date: we are proud to combine the latest technology in key making and security systems with our ongoing passion and years of experience.